Leland has become well known for its historic Fishtown and as a great place to visit for a unique experience. There are so many great shops and places to see in Fishtown and around town. 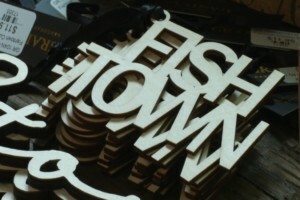 We take you to Two Fish II and Gallery in Leland for Hometown Tourist where local artists and the area are celebrated. Jennifer Collins owns Two Fish II and an expansion of their fine art next door, which is now Two Fish Gallery. In both of these places, it’s all about celebrating the local area. “Two Fish II, I would call it the fun store. There are a lot of things in there that make people laugh. We have signs, plaques, and a lot of greeting cards that are funny. I think a lot of people come in and they say, ‘Oh, I just had to come in to get a good laugh’ because you know they come in the door they’re going to find something funny,” said Collins. You’ll find greeting cards and souvenirs to take home that just remind you of enjoying all the area has to offer. Jewelry made from sand from local beaches, and of course, lots of fish and Fishtown items. “A lot of Michigan made a lot of artists that we work with that design things custom for us for Leland or Fishtown, or even for the whole state of Michigan. We have some clothing, really just a wide variety of things, pillows, some souvenirs not traditional souvenirs not spoons or shot classes,” said Collins. Jennifer says it is a joy to feel so close to visitors that become regulars and the locals that support them year round. And most of all, just being a part of the Leland experience. “It’s nice to be a part of that. It’s fun to be able to have souvenirs or things people can take home that are gifts from here that will help them remember Fishtown when they’re back wherever they live,” said Collins.